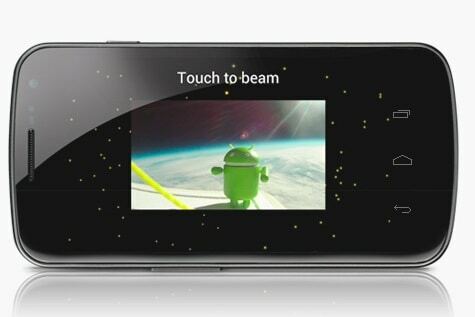 Android Beam is a feature that was first introduced in Android 4.0 Ice Cream Sandwich but it has since fallen into obscurity and not many people know about it and that is a shame. I still remember the days where phones had infrared sensors and we needed to hold them close together whenever we wanted to do a file transfer. Beam is highly reminiscent of that process though it is obviously much faster and more intuitive than the old days. 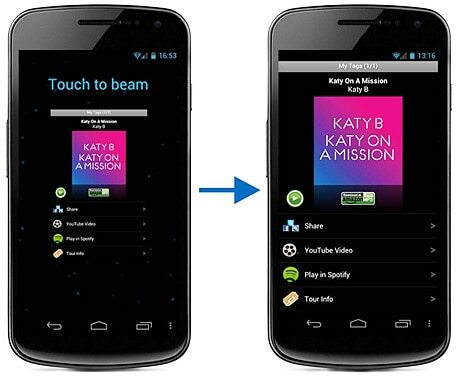 Simply put, Android Beam is a feature that uses NFC in order to pair up two devices with Bluetooth for the sole purpose of sharing files and data quickly. Beam automatically enables and disables Bluetooth when needed and it was created mainly so that users could quickly share things like contact information, links, and videos without resorting to other apps. Android’s sharing features are much more powerful but Beam can be used when you are with friends and just want to share quick snippets of data and not when you want to send them every single photo in your phone. Technically, Android Beam can be used to share any file but the process takes much longer as this feature uses Bluetooth for transfers instead of Wi-Fi. Samsung does have a custom version called S Beam which uses Wi-Fi for faster transfers but the feature is limited to specific devices whereas Android Beam is available in every single Android device that has NFC and runs any version of Android from 4.0 and later. 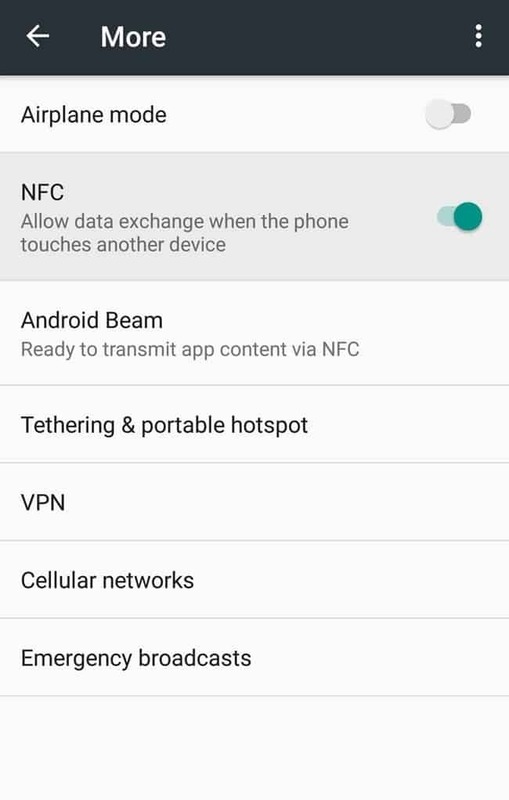 Before you can use Android Beam, you have to make sure that NFC is enabled in your device. Usually, NFC is turned on by default but many users disable it in order to save battery and only enable it when they need it. The option to enable/disable NFC is in Settings > More, at least in stock Android. The location may vary depending on your manufacturer though so Samsung users need to go to Settings > NFC & payment instead, for instance. Beam is automatically enabled when NFC is on so you will not need to worry about that. Do note that both devices need to be unlocked in order for Beam to work. This method of sharing is exactly why I like Beam so much and why I wish more people were familiar with it. The Touch to Beam feature is the modern throwback to the IR days and thankfully made better with the latest tech. Whenever you are viewing something in your device like an image, a link in your browser or another file in your phone, you can quickly share it with a friend by bringing your two devices close to each other in a back-to-back position. Once you do that, the content you are displaying on your phone will shrink and you will get a “Touch to beam” option at the very top of your screen. Tap on that and Android Beam will instantly share the content to your friend’s device, just like that. When the sharing is complete, both phones will be returned to their normal states. You only need to have the two devices close in order to establish the initial connection. The sharing happens via Bluetooth so you can move away and wait for the confirmation beep to know when the file sharing is finished. Also remember that you can use this method to share pretty much anything, including map directions. This can be extremely useful in situations where one user cannot interact with their device like when driving. Some devices may not work well with the Touch to Beam method but that does not mean you cannot use the feature. An option that first arrived with Android 5.0 Lollipop allows users to take advantage of the Share menu and employ Android Beam from there. To use the feature, simply open the share menu in all supported files and select the Android Beam option. The content you are displaying will shrink and you will need to touch the back of the receiving device with the back of your phone. Once the connection between the two devices has been established, the file transfer will be initiated and you are free to move the devices away from each other. To be honest, this feature is more of a gimmick but some people may find it suitable, especially if their friends agree.